Thank you to Eating Amsterdam Tours for sponsoring today’s discussion. All opinions are my own! From Italy’s delectable gelato and lasagna, sweet crepes in France, paella in Spain, and the savory schnitzels in Germany, it’s no secret that Europe has turned me into a foodie. 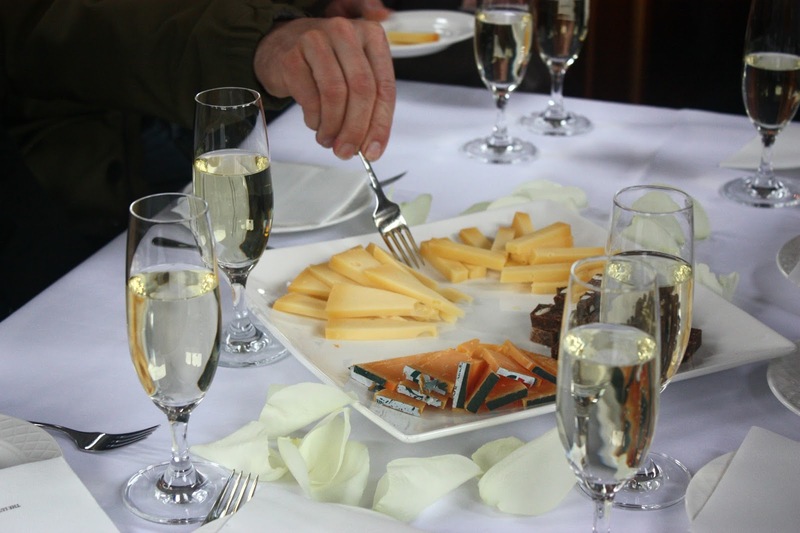 Amsterdam’s culinary scene is quite underrated, and trust me, it goes far beyond just the rich gouda cheese and apple pie! 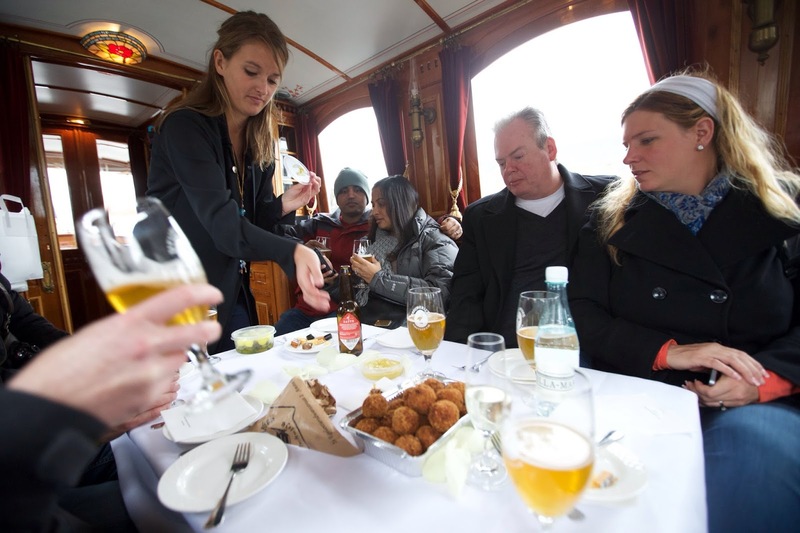 When I discovered Eating Amsterdam Tours, I knew it would be a great addition to my New Years Week itinerary in Holland’s capital. A collaboration was a great way to ring in the new year and celebrate The Darling Daily’s second blogiversary! Since I was going to Amsterdam to celebrate my favorite holiday (NYE! ), I purchased a ticket on the tour for Alex as a Christmas gift. Specialty tours are a great gift for travelers, by the way (hint hint, Sound of Music Tour in Salzurg for my birthday, anyone? ;p). Amsterdam quickly won my heart with it’s tolerance, charming architecture, and have I mentioned the delicious Dutch food yet? Filled with excitement, we packed up our rental car around midnight and drove 6 hours overnight to the city. 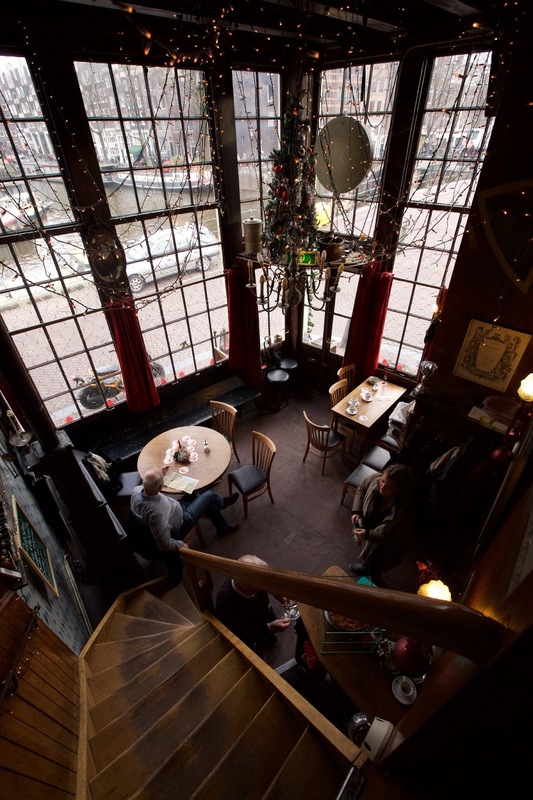 After finding a parking spot, I had a comfortable and restful 3 hour nap in the backseat (note sarcasm) before heading to Cafe Papeneiland, one of the oldest brown-cafes in Amsterdam, to begin the 4 hour eating frenzy! 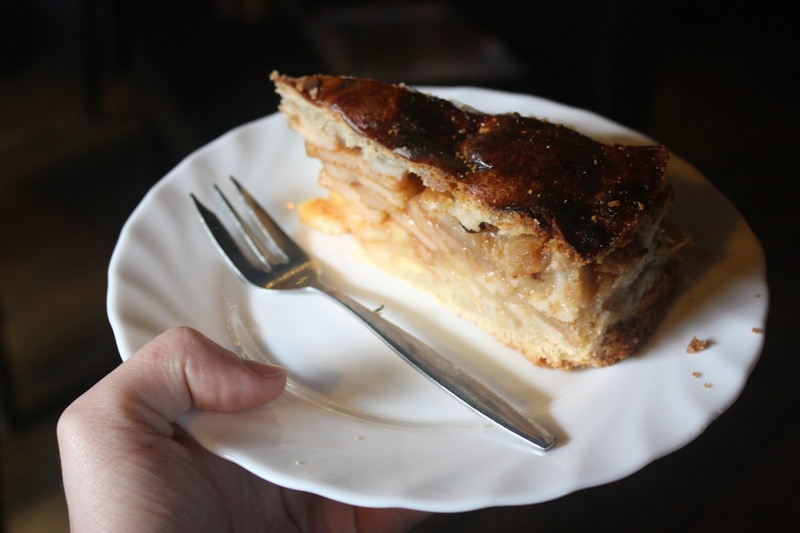 This isn’t just an ordinary slice of Dutch apple pie. This is the BEST apple pie. It’s so good, that President Bill Clinton sent a thank you letter after trying the pie for himself! Sweet but not too sweet, spices that aren’t overwhelming, this pie is baked to perfection and if you find yourself in Amsterdam, you do not want to miss out on this Dutch tradition. From there, the food just got even more delicious and interesting. 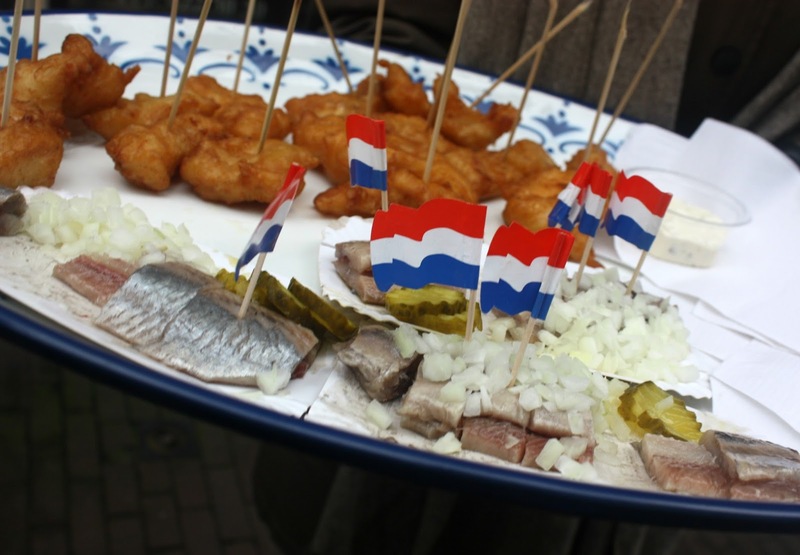 Chris had us tasting food from former Dutch colonies, Surinam and Indonesia, that have influenced the Amsterdam food scene. She told us stories of their origins and how they found their way to the Venice of the North. Discovering new-to-me flavors broodje pom (spiced chicken with pickle sandwich) and baka bana (fried plantain with a satay sauce, seriously new favorite here!) were quite savory. I actually really love fish. I’m all about salmon, tilapia, maui maui, catfish…you get the jist. However, I’ve never been a fan of anything picked…or pickles…or onions. While the entire group unannomously voted this traditional Dutch treat as a tour favorite, you should head over to my Instagram for a video of my reaction. I’ll just let that video do the talking. While it may not exactly be my favorite, I’m definitely glad I stepped out of my comfort zone and tried a flavor so unique to the Dutch culture. Bitterballen quickly became my favorite snack. So what is it? It’s a savory meat gravy that is deep-fried to perfection. It’s the perfect bar food and America needs to get this into their bar scene ASAP. If someone else doesn’t do it, maybe my next entrepreneurial adventure will be creating the perfect bar, haha! Our final stop left me desiring even more Dutch food, though at this point, I definitely was too full to eat anymore food for the rest of the day. If you know me, you know I love pancakes. Like, LOVE pancakes. 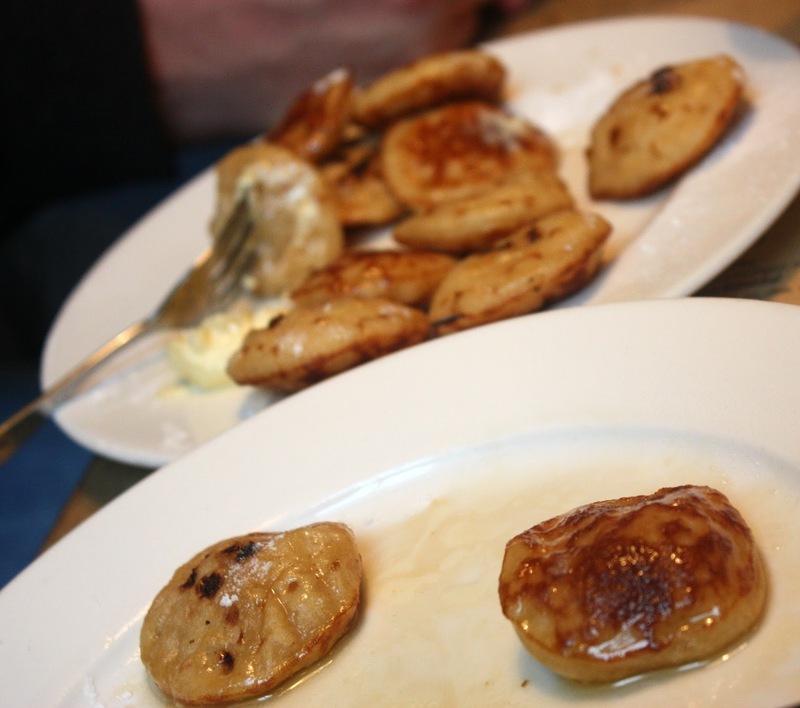 So when a full plate of these adorable pofferjes were placed in front of me, you can believe my excitement. So sweet, so fluffy, so delicious! 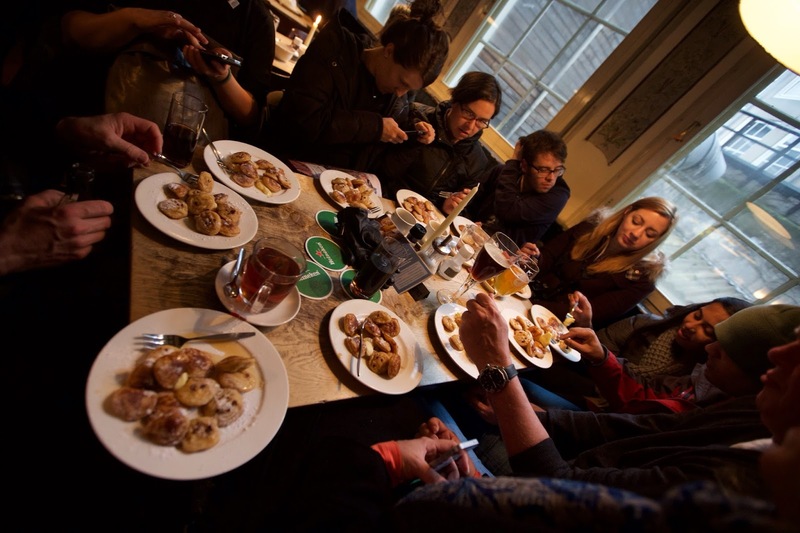 Overall, I highly, highly, highly recommend the Eating Amsterdam Food Tour to anyone visiting Holland. 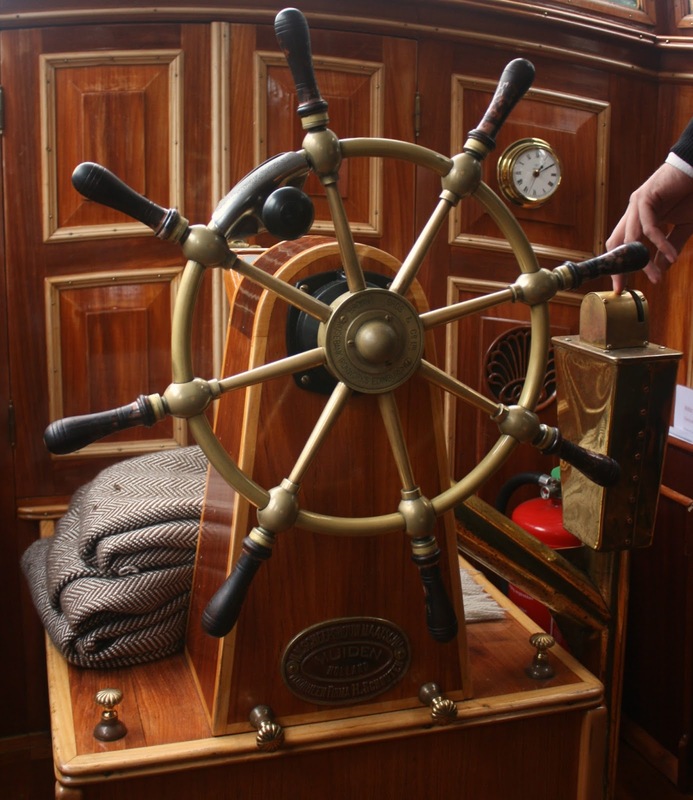 While the price may seem expensive, you do get 12 treats, a boat cruise, lots of history on the Joordan area, and a whole lot of fun! 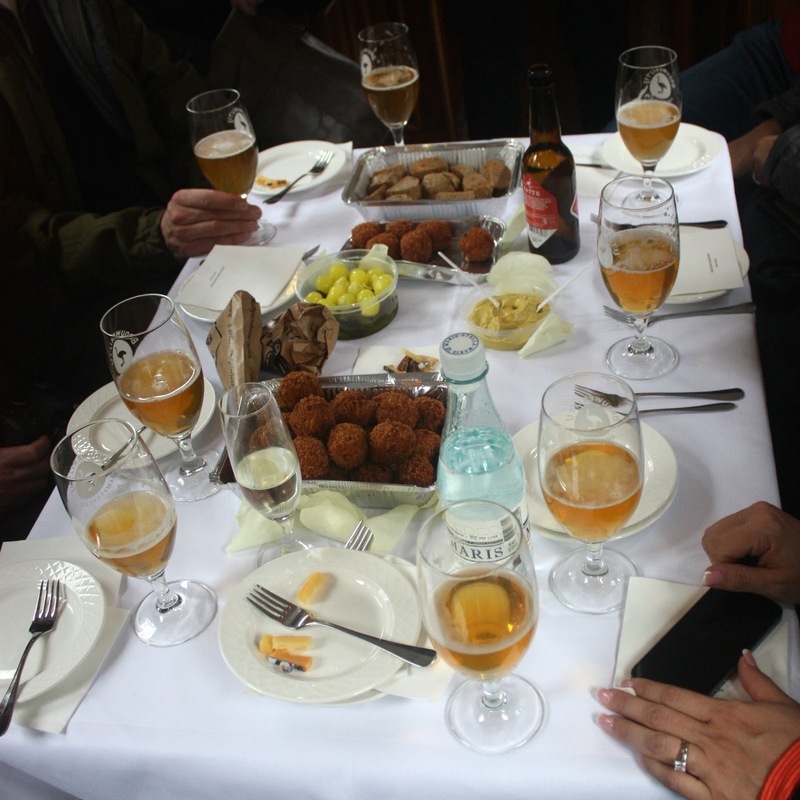 Eating Europe also offers tours in Rome, Prague, and London. 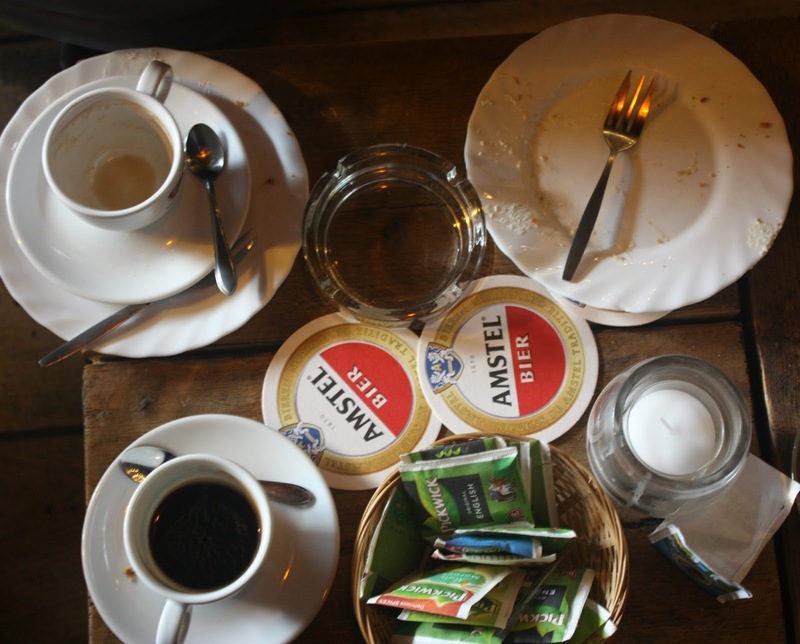 You can be sure that this isn’t the last you’ve heard of Eating Europe on this blog! 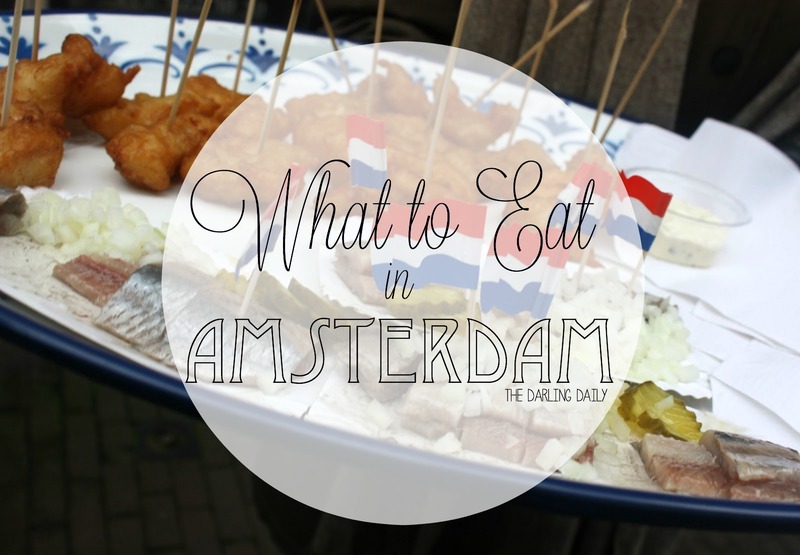 Check out Eating Amsterdam on Instagram, their Website & Blog. Also, if you sign up for their newsletter on their website, you’ll be sent a code for 20% off your tour!